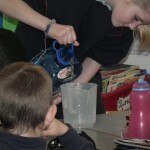 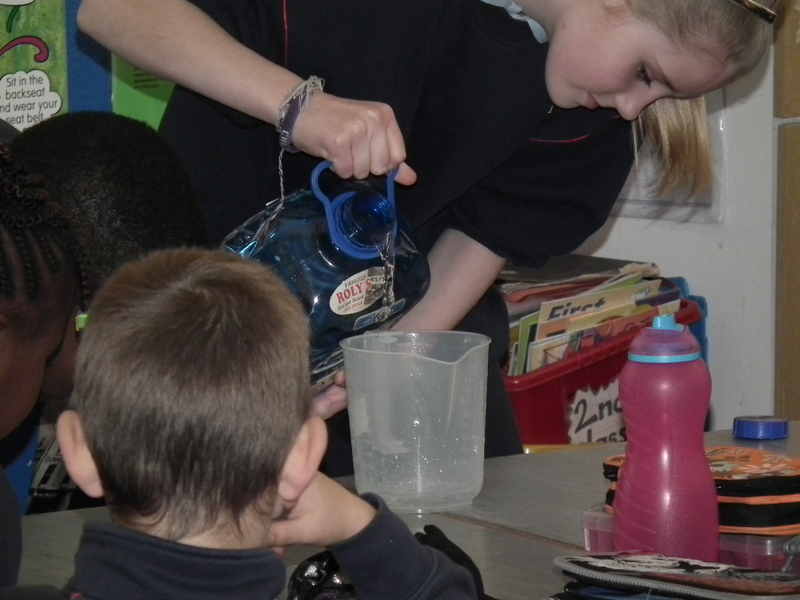 Here are some pictures of a very interesting water demonstration that was carried out by two of our green school committee members. 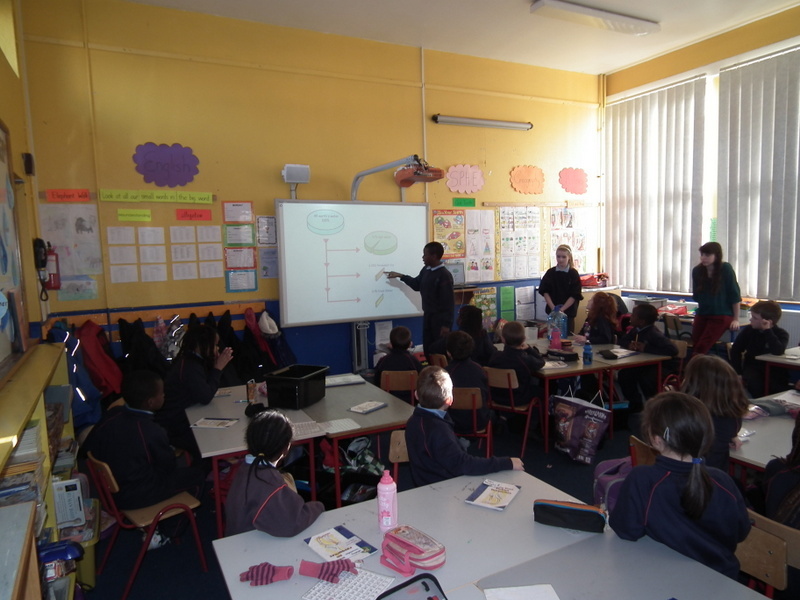 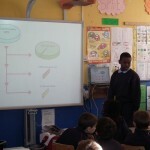 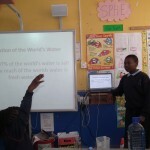 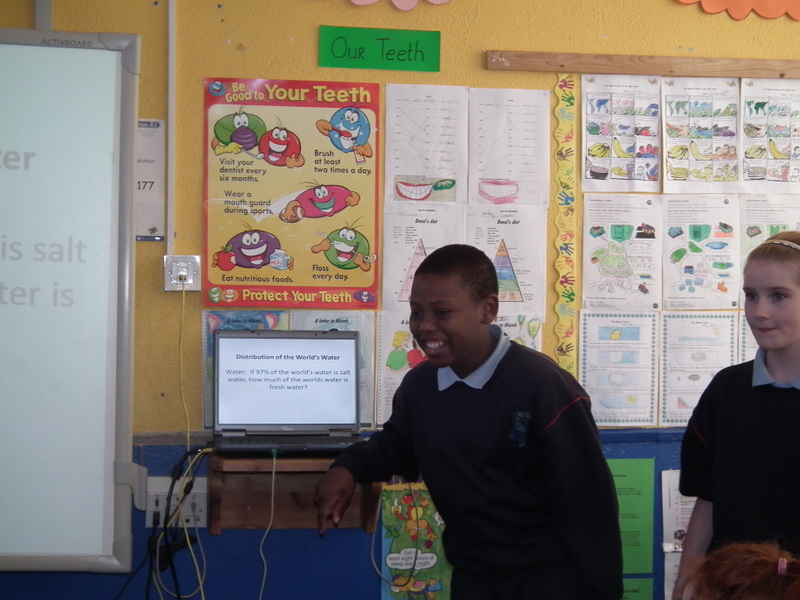 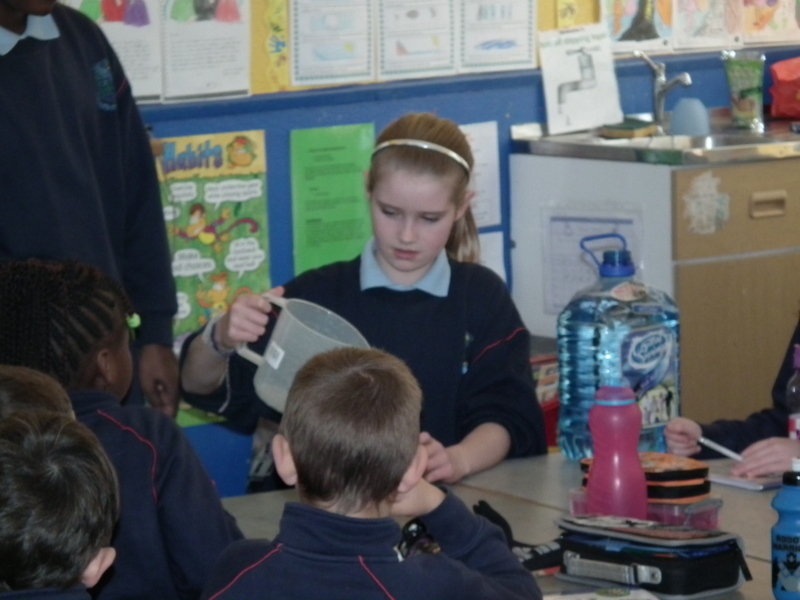 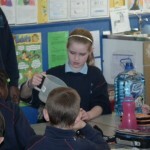 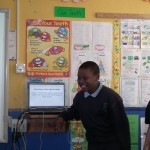 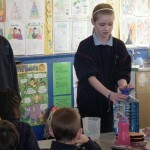 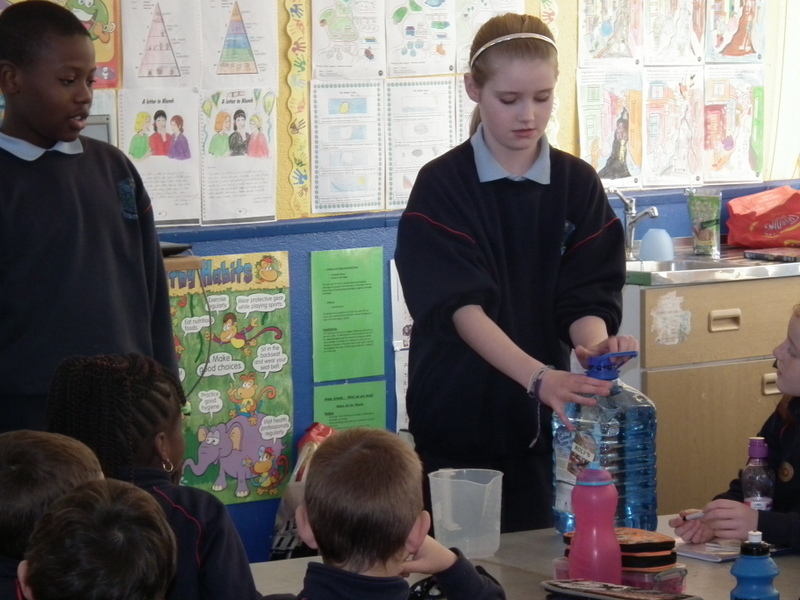 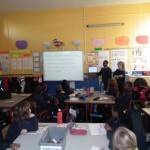 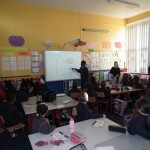 They visited a number of classes in the school and they had great fun explaining the importance of water conservation. 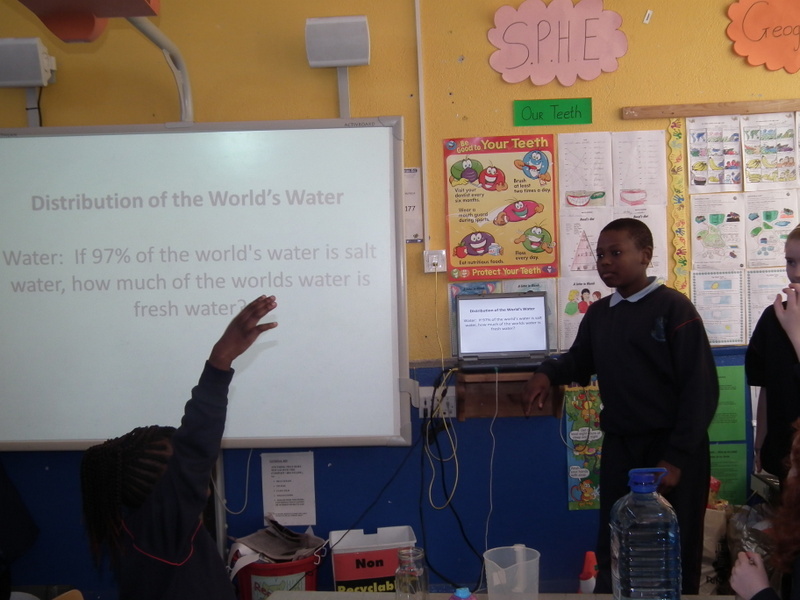 The main objective of the demonstration was to illustrate how little freshwater is available, as 97% of the earth’s water is saltwater. 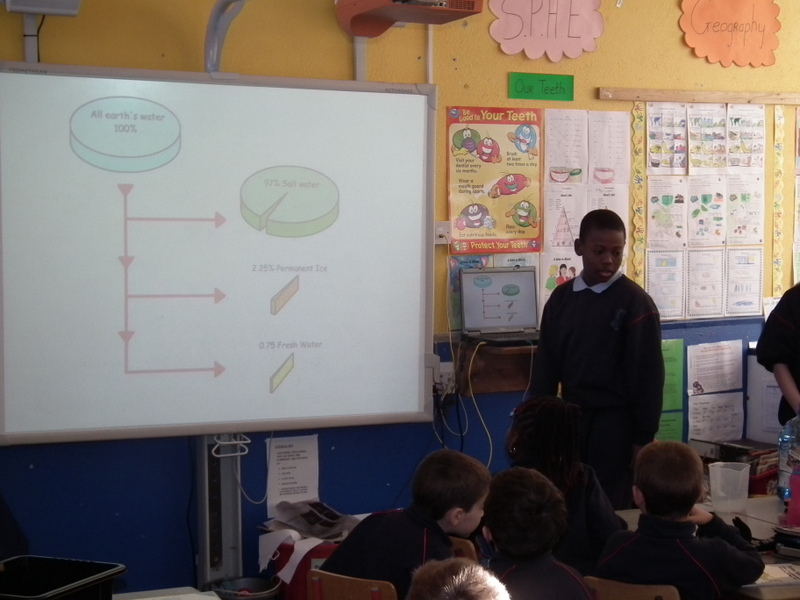 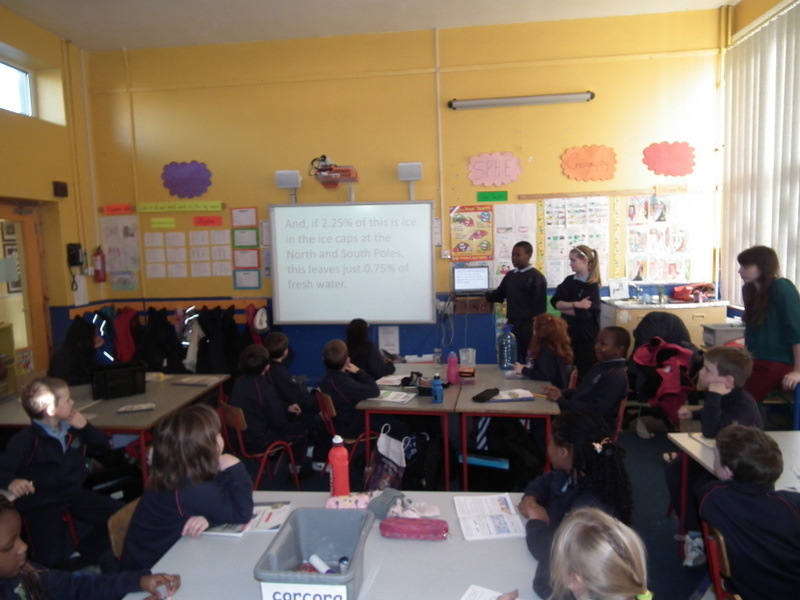 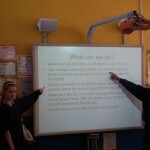 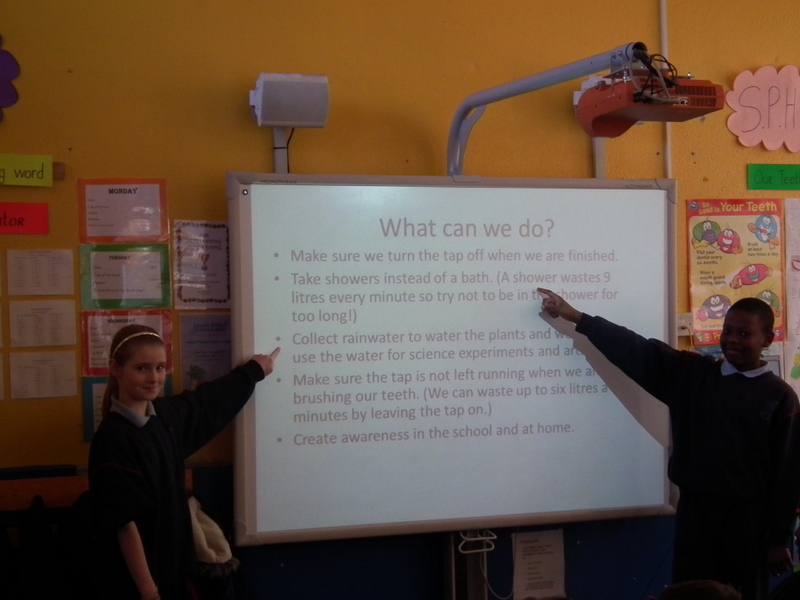 They also gave great tips on how we can help to save water at home and in school.